THIS SUNDAY IN NORTH HOLLYWOOD! 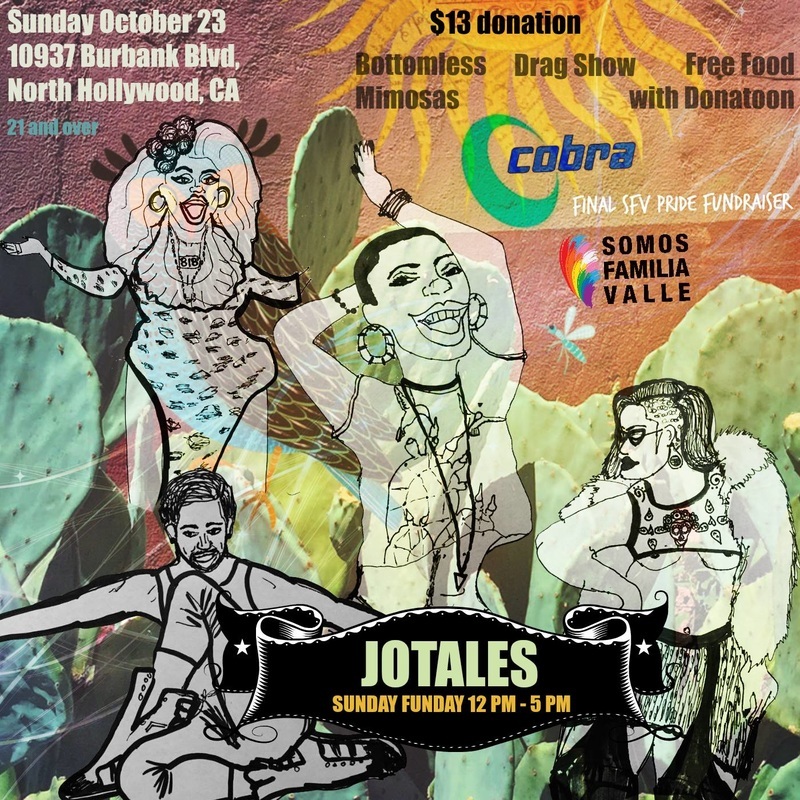 Join us this Sunday Funday Oct 23 for JOTALES, an 818-based drag brunch, at Club Cobra in North Hollywood! 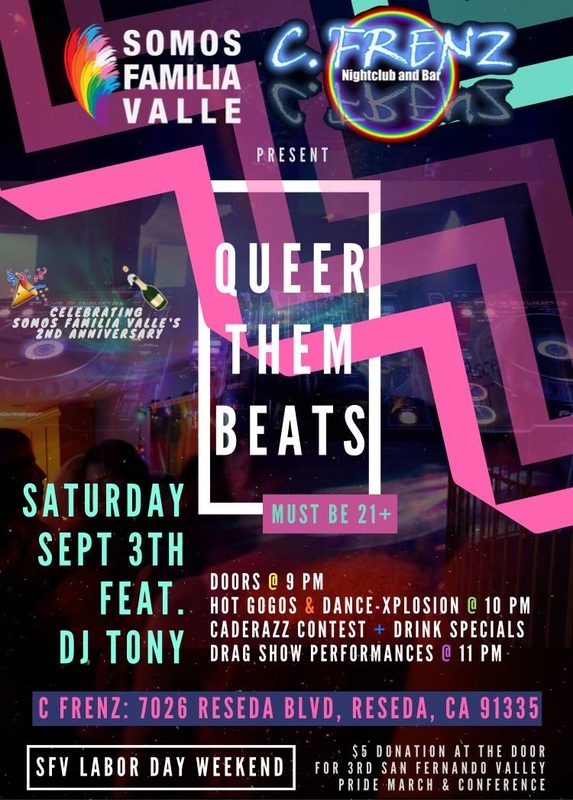 Your support will directly benefit our 3rd San Fernando Valley Pride March & Conference! Come and support as we plan to cater some extra life to you with special performances inspired by Mariajosé and Ivy Queen. Free food with donation. Don't miss out! This is our last fundraiser of the year. If you would like to collaborate with Somos Familia Valle, please TXT "Pachanga" at 818-428-0120 and we will contact you soon. Si usted quiere colaborar con Somos Familia Valle, favor de enviar el mensaje "Pachanga" al 818-428-0120 y le contactaremos pronto.